Climate-change legislation has been a hot topic in the Senate in recent weeks, but two senators filed a bill Thursday to reduce three chemicals other than carbon dioxide from the air. The bipartisan proposal from Delaware Democratic Sen. Tom Carper and Tennessee Republican Sen. Lamar Alexander targets coal-fired power plants to cut soot-forming sulfur dioxide (SO2) by 80 percent by 2018, smog-forming oxides of nitrogen (NOx) by 53 percent by 2015 and mercury by 90 percent by 2015, Robin Bravender of Environment and Energy Daily reports. "We have a number of different things to work out on carbon," Alexander told Bravender. "But there's no excuse for waiting a minute on SOx, NOx and mercury because we have the technology, we know what to do, and we shouldn't be operating coal plants without pollution control equipment." The new bill would codify the Clean Air Interstate Rule program through 2011 and then impose even stricter limits than the Bush-era program. The rural brain drain has become a catch phrase to describe the outmigration of high-achieving rural youth, but one rural columnist has a different take. "The rural brain drain is the collective expression of thousands of individuals pursuing their best economic-development strategy.," freelance columnist Curtis Seltzer writes for Landthink.com. "When the reasons that brought people to the countryside no longer exist, it will make economic sense for people to leave and force these communities to find a new — and, admittedly, often lower — level of sustainability." 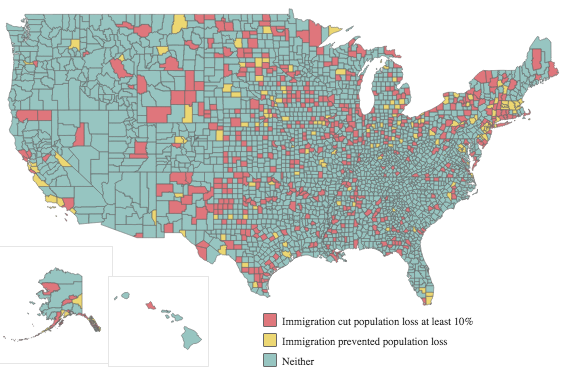 Seltzer describes the phenomenon reported by Patrick J. Carr and Maria J. Kefalas in Hollowing Out the Middle: The Rural Brain Drain and What It Means for America as one of numbers, not quality. "My impression of watching local kids leave over more than 25 years doesn’t square with the finding of Carr and Kefalas," Seltzer writes. "Both stayers and leavers in this county of 2,500 are a cross-section of their group. All the best don’t leave, and all the worst don’t stay—the pattern that Carr and Kefalas report." A famous South Texas ranch is the epicenter of a deadly horse disease with a 20 percent mortality rate. Through Jan. 20, "364 cases of equine piroplasmosis had been confirmed," Jaime Powell of the Scripps Howard News Service reports. 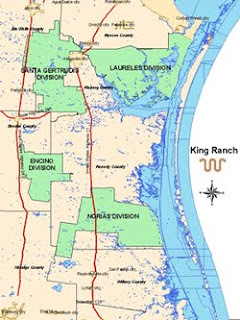 "Of those, 289 are on the sprawling King Ranch." The World Animal Health Information System also reports cases in Indiana, Texas, Alabama, California, Florida, Louisiana, Minnesota, North Carolina, New Jersey, Tennessee, Utah and Wisconsin. Wild swine populations are spreading across the country at a record pace, with only six states remaining without documented herds. Researcher Jack Mayer, a wild-hog expert at the Savannah River National Laboratory in South Carolina, tells Isaac Wolf and Jason Bartz of the Scripps Howard News Service that the population has doubled in size and range over the last 20 years. In 1982 feral hogs were documented in 17 states; now all but six states have populations. "Wildlife experts say the hogs, which can weigh as much as 500 to 750 pounds, are increasingly running roughshod in rural areas, suburbs and even a few cities, digging up cemeteries, gardens and lawns; causing car wrecks -- and occasionally attacking people," Wolf and Bartz write. 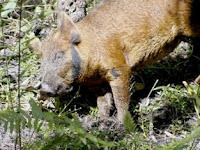 Feral pigs cause an estimated $800 million in property and crop damage, and 27,000 auto collisions, and Mayer tells the reporters a federal intervention with enforcement of animal transportation laws is needed to solve the problem. Al Tompkins of the Poynter Institute, a fan of this topic, passes along several hog-reporting resources in his "Morning Meeting," including Scripps' state-by-state list of known populations. Utah Gov. Gary Herbert's campaign aides cashed a $10,000 check from a coal company on the same day in September that he met with the company to hear complaints about delays in the permitting of a strip mine. State regulators at the meeting listened to Alton Coal Development LLC's pleas and "agreed to fast-track a decision approving the mine near Panguitch, despite opposition from residents," Paul Foy of The Associated Press reports. Herbert's office told Foy the governor never ordered regulators to give their approval and didn't know about the company's donation. "The decision has some residents of the small tourist town about 200 miles south of Salt Lake City concerned," Foy writes. Environmental groups are claiming the strip mine would raise dust and foul air quality 10 miles from the Bryce Canyon National Park. "This mine will damage the pristine air and water quality and wildlife of the area, increase dangerous truck traffic and have negative impacts on tourism and the visitor experience at Bryce Canyon National Park," Clair Jones of the Utah Sierra Club, told Foy. In December, the Justice Department announced the American Smelting and Refining Co. will pay a record $1.79 billion to settle claims for hazardous waste pollution at 80 sites in as many as 20 states. The ruling represents one of the largest environmental bankruptcies in U.S. history, John Burnett of National Public Radio reports. Cleanup at the copper smelter in El Paso, one of ASARCO's most notorious polluters, is scheduled to begin this year. ASARCO toxic industrial sites in Tacoma, Wash., and Omaha, Neb., have been reused for condos, office buildings and a convention center after cleaning. Approximately $1 billion of the settlement goes to the Environmental Protection Agency for cleanup of 26 Superfund sites. Of that $1 billion, $436 million was a cash payment toward future cleanup costs at the Bunker Hill & Metallurgical Complex site in Idaho, the largest "cashout" amount ever for the Superfund enforcement program, EPA reported in a news release. A new study reveals the prairie wetlands in the Upper Midwest's "Pothole Prairie" region may be more sensitive to global warming that previously thought, and climate change there could affect millions of waterfowl that depend on the region for food, shelter and raising their young. The study, published in the research journal BioScience, used a new wetland model that projected major reductions in water volume, shortening of the time water remains in wetlands and changes to wetland vegetation dynamics, Newswise reports. "The impact to the millions of wetlands that attract countless ducks to these breeding grounds in spring makes it difficult to imagine how to maintain today’s level of waterfowl populations in altered climate conditions," Dr. Glenn Guntenspergen, a U.S. Geological Survey researcher and one of the authors, said in a news release. "Parents may not have time to raise their young to where they can fly because of wetlands drying up too quickly in the warming climate of the future." Many wetland species require a minimum time in water to complete their life cycles. Last week we reported rumors of the growing chance of Congress moving ahead with a climate bill without a system for capping and trading greenhouse-gas emissions. Yesterday President Obama publicly voiced that possibility for the first time. "We may be able to separate these things out," Obama said at town-hall meeting in Nashua, N.H. "And it's conceivable that that's where the Senate ends up. But the concept of incentivizing clean energy so that it's the cheaper, more effective kind of energy is one that is proven to work, and is actually a market-based approach." "I think cap and trade has a long road here obviously," New Hampshire Republican Sen. Judd Gregg told Darren Samuelsohn of ClimateWire and The New York Times. "There's a lot of good initiatives on energy policy that are on a shorter track and will hopefully be pursued aggressively." North Dakota Democratic Sen. Byron Dorgan told Samuelsohn he wants the Senate to pass the Senate Energy and Natural Resources Committee bill, which would establish a nationwide renewable electricity standard along with a host of other energy incentives. The Obama administration yesterday unveiled a broad new vision of biofuels development to meet the mandate for 36 billion gallons of biofuels by 2022. Chief among the new strategies is a change of opinion from the Environmental Protection Agency that the corn-based ethanol and soy-diesel industries can have a carbon footprint small enough to be part of the plan, Jessica Leber of Environment and Energy Daily reports. Most of the current 12-billion-gallon biofuel supply comes from corn ethanol, but Leber writes, "much of the remaining mandate will be met by cellulosic fuels that have a smaller carbon footprint and aren't made with food or feed grains." Biofuel companies were relieved by the long-delayed regulations, which provide some stability for the industry. "Still, the controversial regulation drew simultaneous praise and criticism from special interests on all sides of the issue, from the biofuels industry itself and from environmental groups," Leber writes. Some environmentalists questioned EPA's decision to include corn ethanol because it relied on improvements in the industry to mitigate water, land and carbon impacts that are not yet in place. EPA Administrator Lisa Jackson defended the decision, saying it came after EPA "revised models to incorporate updated crop yield estimates and the use of animal feed co-products" to calculate the carbon footprint, Leber writes. A proposed U.S. Postal Service rule may be the last straw for some weekly newspapers that depend on the mail to reach most of their readers, the editor-publisher of a crusading weekly in the Texas Panhandle wrote in a letter reprinted in this month's newsletter of the International Society of Weekly Newspaper Editors. "Our number will surely be smaller" because most papers will fail the "droop test," in which a paper is dangled from a flat surface, writes Laurie Ezzell Brown, left, of The Canadian Record. The old rule allowed a paper to droop four inches and still qualify for discount mailing rate; under the proposed rule, if a paper droops more than three inches, its rates will go up 54 to 78 percent, according to the National Newspaper Association, the main lobbying group for weeklies. "NNA hasn’t seen any evidence than one inch of ‘droop’ more or less is going to affect handling costs one iota," NNA Postal Chairman Max Heath told USPS in a letter. 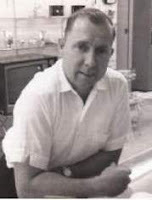 What galls many weekly publishers is that the Postal Service increasingly fails to live up to the last word in its name: "I am interrupted repeatedly by telephone calls from subscribers to The Record in surrounding communities who did not receive this week’s newspaper in the mail today," Brown writes. "Each caller has told us how important the newspaper is to him, and how much he enjoys reading it." She is especially moved by those who refer to it as "my Canadian Record," which to us helps define whether a newspaper is a community paper or not. The Record is online, but "We find that most of our customers — even the young ones — prefer the more tactile experience of leafing through the pages of their community newspaper," Brown writes. "If there is a last straw, this new and rather aptly named 'droop' test may well be it. Most lightweight periodicals like newspapers will almost certainly fail the new deflection test." And she adds, "The new standards are likely to affect the Postal Service’s delivery standards as well, promising more calls of complaint and more — yes, more — cancellations of subscriptions by readers who alue the product we create but have lost faith in our ability to deliver it." Brown's letter is a strong case for rural newspapers. The ISWNE newsletter is online here. The comment period for the new rule ended Jan. 13. 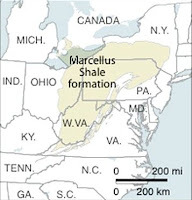 Fracking, short for "fracturing," is a drilling method in which "millions of gallons of water, sand and chemicals are blasted into each well to fracture tightly compacted shale and release trapped natural gas," the reporters explain. It has opened the Marcellus Shale's deep, vast gas reserves for the first time, but the industry must develop proper wastewater disposal and recycling techniques before moving ahead, Levy and Smith write. "The Marcellus Shale in on its way to being the nation's first gas field where drilling water is widely reused," they predict. To meet the nation's biofuel goal, the government must accelerate the development of biofuel crops and products, says a new report from the White House. In the report to be released today, "An administration task force said the government needs, among other things, to set targets for commercializing new types of fuel crops, such as switchgrass," Phillip Brasher of the Des Monies Register reports. The report also advocates a regional approach that promoted specific fuels to suit particular regions. Not everything in the report will please the biofuel industry, though. It suggests federal agencies identify "environmental and social issues that may confront biofuels development," Brasher writes, and it says new biofuel refineries must have guaranteed markets. The industry has been outspoken in its belief that such a requirement would make it virtually impossible for companies to obtain federal loan guarantees. As part of his proposed fiscal 2011 budget, President Obama has again proposed slashing crop subsidies to "wealthy farmers." Obama targeted those payments last year, but failed to pass the cuts. Charles Abbott of Reuters reports the chances of passage this year may be slim. The plan would "end crop subsidies to people with more than $250,000 adjusted gross income (AGI) from off-farm sources or more than $500,000 on-farm AGI," Abbott reports. The caps now are $500,000 off-farm AGI and $750,000 on-farm AGI. The budget proposal also calls for reforming "administration of the federally subsidized crop insurance system to end 'huge windfall profits,' Abbott writes. President Obama has proposed big changes to federal education funding and the No Child Left Behind Act with the unveiling of his fiscal 2011 budget. It includes a 6.2 percent increase in funding for the Department of Education, but most of that money will go to competitively awarded programs, Alyson Klein of Education Week reports. Programs that use set formulas to allocate funding such as Title I, based on the number of poor children in a school or district, received little or no increase in budget. "The focus on competitive grants and the decision to provide no increase to Title I means rural districts and children in the poorest parts of the country will be left behind," said Anne Bryant, the executive director of the National School Boards Association. "Those districts do not have the capacity to compete for grants—unless you want to shift money from teachers to grant writers." An unprecedented number of Americans are seeking charity food, says a new study from the nation's largest domestic hunger-relief organization. Feeding America reports in a news release "more than 37 million people, one in eight Americans -- including 14 million children and nearly 3 million seniors -- receive emergency food each year through the nation's network of food banks and the agencies they serve." The data represents a 40 percent increase from the organization's last comprehensive study in 2006. The study, "Hunger in America 2010," includes data collected from February through June 2009 from 61,000 face-to-face, in-depth interviews with people seeking emergency food assistance at the organization's network of pantries and emergency feeding programs across the country. One of the regional groups participating in the study was God's Pantry, which reports it now serves one in seven people in Central and Eastern Kentucky. God's Pantry's report, "Hunger in Central and Eastern Kentucky," says 73 percent of client households reported food insecurity, defined as fear of being unable to provide food to oneself or family. The organization reports 310,170 people in the 50-county service area (See map below) live in poverty and the group serves 12 of the 25 poorest counties in the nation. Among those served: Owsley and Clay counties, which the U.S. Census Bureau ranks as the third and fourth poorest counties in the country. Complaints from residents living near wind farms have become more numerous in recent months as the farms proliferate. Now many of those complaints regarding noise, shadows and bird deaths have surfaced in Wisconsin, Scott Williams of the Green Bay Press-Gazette reports. In the town of Byron, some families have given up fighting the turbines and plan to move, while others have embraced them as needed progress. Last week we reported the wind power industry had record capacity growth of 39 percent in 2009, but new "green jobs" haven't necessarily accompanied the surge. "Even though a record 10,000 megawatts of new generating capacity came on line, few jobs were created overall and wind power manufacturing employment, in particular, fell -- a setback for President Obama's pledge to create millions of green jobs," Jim Tankersley of the Los Angeles Times reports. During his State of the Union address last week President Obama said "small towns and rural communities have been hit especially hard" by the recession, but that may not be the case in all such places. Many rural Great Plains and Midwest farming counties have lost fewer jobs than other rural areas, Bill Bishop and Roberto Gallardo report in the Daily Yonder. Still, only 25 rural counties registered decreases in their unemployment rate between 2007 and 2009. 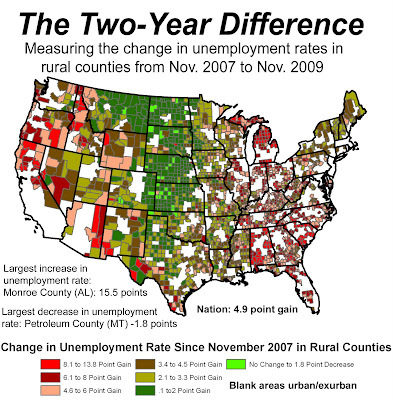 Unemployment in rural areas roughly mirrored urban rates in 2009. A reporter for a thrice-weekly newspaper in southeastern Kentucky is among 11 medical journalists chosen for a prestigious fellowship that will take them to the Boston area this spring to study health care and how to cover it. Tara Kaprowy, right, of The Sentinel-Echo in London was chosen for The Health Coverage Fellowship with the support of her employer and its owner, Community Newspaper Holdings Inc., and of the Institute for Rural Journalism and Community Issues, based at the University of Kentucky. "The fellowship, the first of its kind in the country, is designed to help the media do a better job covering critical health care issues. It does that by bringing in as speakers more than 50 top health officials, policy people, and researchers. It also brings the fellows out to watch first-hand how the system works," says a news release from Babson College. The fellowship is housed at the college's Center for Executive Education in Wellesley and is directed by Larry Tye, former health and environment reporter at The Boston Globe and author of five books. The eight-year-old program is sponsored by the Blue Cross Blue Shield of Massachusetts Foundation, with help from the Maine Health Access Foundation, New Hampshire’s Endowment for Health, Foundation for a Healthy Kentucky, and the Texas-based Hogg Foundation for Mental Health. The contributions from outlying states helped create slots for reporters from those states. Joining Kaprowy will be Robert Weisman of the Globe, Cathy Corman of WGBH Radio in Boston, Shawn Cunningham of WAGM-TV in Maine, Jennifer Huberdeau of the North Adams (Mass.) Transcript, Cynthia McCormick of the Cape Cod Times, Karen Nugent of the Worcester Telegram & Gazette, Denis Paiste of the New Hampshire Union Leader, Jason Roberson of the Dallas Morning News, Kathryn Tolbert of The Washington Post, Laura Ungar of The Courier-Journal of Louisville. We've been following the economic trouble in the horse industry closely, and one common factor cited in the trouble is the closing of the last U.S. horse slaughtering facility, which removed the floor from horse prices. Now some states are considering legislation to reopen slaughter facilities, even as some U.S. lawmakers move to ban the sale of horse meat. In 2006, Congress barred any federal funds from being spent by the U.S. Department of Agriculture on inspecting the nation's three remaining horse slaughtering plants, one factor that led to their eventual closure. Advocates of horse slaughtering say plants represent a better option for desperate horse owners who have taken drastic measures in disposing of their unwanted horses since the last plant closed. "It is more humane to dispose of old and unwanted horses in this manner than to just abandon them, dumping them out randomly, with no food, water or protection from the weather, not to mention the hazards of hitting a 1,000-pound abandoned horse standing in the middle of the road," Phil Mills of Zanesville, Ohio, argues in a letter to the editor in the Times-Record. In April the Illinois legislature voted down a bill that would have authorized horse slaughtering in that state, but Republican state Rep. Jim Sacia has submitted a new bill. Meanwhile, foreign investors considering Hardin, Mont., for a horse-slaughtering plant recently toured the area looking for potential sites, Tom Lutey of the Billings Gazette reports. The tour was arranged by Republican Rep. Ed Butcher, "author of a 2009 state law promoting construction of a horse slaughter facility." Philanthropy has been instrumental in shoring up causes based in metropolitan areas, but not so much in rural America. "Historically urban-centered, wealthy people have created legacies directed at specific regions or institutions, or coveted areas of individual passion. But there aren't many examples of such magnitude devoted to comprehensive community development," Gerry Roll, above, executive director of the Community Foundation of Hazard and Perry County, Kentucky, wrotes in an op-ed piece for the Lexington Herald-Leader and The Courier-Journal of Louisville. Roll advocates legislation to encourage creation of, and investment in, community foundations. "They are rarely in rural areas, and certainly not in the rural counties of Kentucky," she notes. Rural areas are still the places where many of the state's resources are spent on programs like Medicaid for the poor and disabled, and that's one reason Kentucky ranks near the bottom of most national lists, Roll writes. "A relatively new national movement in rural development philanthropy is a promising model for helping community foundations and other community-based initiatives engage in convening, fund-raising, endowment-building, grant-making and other community-building opportunities to strengthen and supplement the limited resources provided through state and local general funds for education and other services," she explains, adding that community foundations engage a broad range of institutions and individuals to build stronger and healthier communities. Those include rural expatriates who may want to help their hometowns but don't know of a vehicle that they consider trustworthy. Roll says 2006 legislation in Iowa to stimulate local endowment building has led to an endowment in every county in the state, "and they are growing exponentially." Roll's foundation started last year, and she writes that it still has a long way to go, but it is "building an endowment, making grants and working with the community to create ways to improve our schools, our environment, our health, our housing and our culture." She calls for the state legislature to encourage donations to local endowments to allow "people to contribute to the communities they love." Roll's article also appeared in the Messenger-Inquirer of Owensboro. In October and December we reported about an unusual battle between environmental groups about a proposed wind farm in Greenbrier County, W.Va. The two groups were at odds about the effect the project would have on the endangered Indiana bat, and a federal judge ruled in December the project violated federal wildlife law. Now Chicago-based Invenergy LLC and Mountain Communities for Responsible Energy have forged an agreement that will allow construction to begin immediately, Jessica Y. Lilly of West Virginia Public Broadcasting reports. Poaching reports are up across the country, and some of the new cases have a disturbing twist: animals being killed just for the thrill of killing. "Poachers run down deer with cars or snowmobiles, and chase raccoons, then beat them to death with clubs," Jeff DeLong of the Reno Gazette-Journal reports for USA Today. "They also shoot deer, elk and antelope, sometimes removing valuable antlers but often leaving the carcass to rot on the ground." Scott Talbott, an assistant division chief with Wyoming's Fish and Game Department, describes the trend as "wanton destruction" that goes beyond shooting. "It's thrill killing — people just going out and killing stuff," Talbott told DeLong. "We have seen a significant increase of that in Wyoming. It's disturbing." State wildlife officials in Wisconsin are working with researchers at the University of Wisconsin-Green Bay and have determined "the thrill killing usually involves youths ages 14 to 23, who gather in groups with the intent of killing as many animals as possible," DeLong writes. Journalists who place a high value on well-written obituaries and tributes should like a new monthly feature in The Courier-Journal of Louisville, "A Life Well Lived." Lifestyles Editor David Daley says it will "go beyond the obituary page to bring out the full color and dimension of a life. There's an extraordinary tale to tell at the end of every life." We agree, and think everyone deserves a good sendoff. "Which is worse? Closing two locks on a waterway that's used to ship millions of dollars' worth of goods from the Great Lakes to the Mississippi basin? Or allowing a voracious Asian carp to deplete the food supply of native fish sustaining a Midwestern fishing industry that nets $7 billion a year? And how do you put a price tag on the damage caused by the Burmese python and other constrictor snakes that are strangling the precious ecology of the Everglades?"